Always striving to improve your experience of our service, today we've released a major enhancement to our Past section, which allows you to review, categorise and visualise your financial transactions. We know that the old Transactions listing could be a bit slow when performing some tasks, so the new page is designed to make it incredibly quick to filter your transactions, for example by turning your accounts on and off, and filtering for specific tags or descriptions. We've also made it much easier to edit multiple transactions - using the new multi-edit mode, you can easily select multiple transactions and make changes to them. 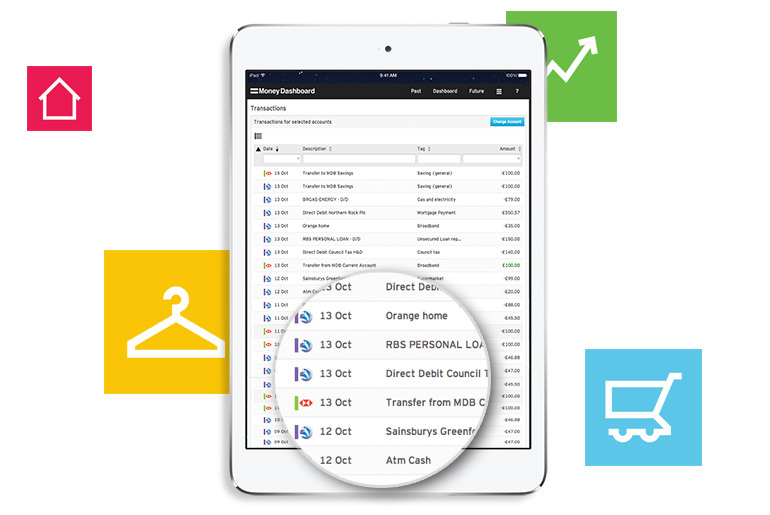 Combined with the new filtering tool, this makes it easier than ever to review and categorise your transactions. We've added a new graph to let you easily see how your incomings compare to your outgoings. You can configure the graph to exclude specific categories, or even to focus on a specific category to see how your spend varies month-on-month. We've revamped the Balance History Graph so it's a faster and smoother. It still gives you a visual history of the balances of your accounts, and on top of that we've added the ability to see your combined balance across multiple accounts. We plan to keep the improvements coming... Over the next few weeks we'll be releasing more new features which continually help you to manage your money more effectively.